What began as a one-woman show from a home office in Roland Park, has grown into a beautiful, creative machine. Stephanie has molded the SB brand, now located in the Woodberry neighborhood of Baltimore, into both a recognizable and widely respected entity. Her propensity for project management and keen eye for detail are a winning combination leading to a portfolio that includes collaborations with some of the industry's most influential leaders. As a full-service design studio, Stephanie is deeply invested in each and every project — from planning a wedding to producing a fashion show, from styling your home to styling your brand. With three departments, and dedicated project managers, Stephanie and her team are able to offer a wide range of services while still holding on to the personal one-on-one benefit of a small business. Standout accolades for Bradshaw include: ‘Baltimore’s Best Dressed’ by Baltimore Magazine, former ‘Hospitality Professional of the Year’ by NACE, a semi-finalist on HGTV’s ‘Design Star’ (season 4), ‘Alumna of the Year’, Shippensburg University, ’30 Under 40 – Rising Young Event Professionals Worth Watching’ by Special Events Magazine, and member (and former board member) of the National Association of Catering and Events (Baltimore Chapter). Shine Creative makes video content driven by human emotion. Our mission is to move the needle for clients with video that connects with even the most skeptical audiences. We believe the best stories are born out of the human journey, through real-life content that instills wonder, inspires creativity and helps us better understand each other as people. We want to inspire others to dream bigger and live better so they can become the heroes of their own stories. Lead by husband and wife team Drury Bynum and Jamie Campbell, our story is about a couple of dreamers whose marriage resembles a paste-up collage of contrasting styles with an overlapping common ground of shared taste. This is the backbone of Shine. We are Creatives. We make stuff together. Visuals drive us like a locomotive engine. Drury, Shine’s Director, began his journey as an artist by winning the ‘Most Talented’ award in high school, which is notable because his only talent was drawing. The competition was not fierce. The following decades were an evolution of scrubbing paint on canvas, learning to design on computers, then, after buying a dusty Nikon Super 8 camera in a Bowling Green pawn shop, the pursuit of moving images. The past 20 years he’s been learning to make films that hopefully merit that prestigious award he received in high school. Jamie wears two hats at Shine. On set she is executive producer and leads all projects from a creative perspective. At Shine she lovingly and continuously designs the brand and culture. Currently, the Shine Studio reflects her vision for ‘calm, focused, creativity’ as her design choices are inspired by recent travels and west coast dreaming. Her passion for graphic and interior design, fashion and film remains at her roots and informs not only the art direction for video, but also for the Shine brand. She has developed and produced countless video projects, large and small. Her magic is creating a cozy set and happy crew. Born in Baltimore, Maryland, Hilton Carter began his passion for the arts at an early age. This will and desire would take him from enrolling in summer art classes at local community colleges at the age of nine, to a high school that specialized in art and technology. After completing studies at Carver Center for Arts & Technology, Hilton was accepted into the Maryland Institute, College of Art (MICA). Along with general fine art classes, Hilton further developed and honed his desire to create films in the video classes that were provided there at MICA, while taking advantage of the film classes available at John Hopkins University. After completing his bachelor's degree at MICA, he moved to Los Angeles to further his studies in film, entering the Masters Program at Art Center College of Design, in Pasadena, CA. By the time Hilton earned his Masters in Film in 2006, he had completed many independent projects outside of school, ranging from short films and music videos for nationally recognized artists to commercials for leading companies like LG and Verizon. In 2009, he made is first short film, MOTH, that ran the festival circuit and was purchased by HBO and CINEMAX for use from 2011-2013. In 2015 Hilton returned home to Baltimore, MD to take a job as the head of the video arm at Harvey Agency. Since being there he has created projects with CoverGirl, McCormick, Bubbles Hair Salon and many others. In 2017 his passion for art branched out into interior design and plant styling. 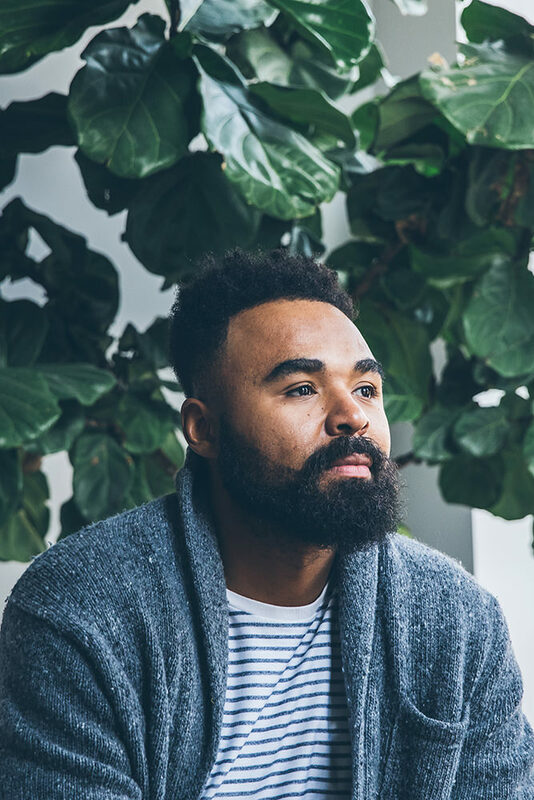 Using Instagram as a strong tool to bring awareness to his business and love for greenery, he was able to grow his following from 800 follows in late 2016 to 70k as of March 2018. During that stretch of time he was featured in publications like Baltimore Magazine, Cosmopolitan Magazine, Southwest Airlines Maganize, The Washington Post Newspaper and many blogs like Domino, Apartment Therapy, Design Sponge, Esquire, Coveteur, and many others. This spring he will be featured in the interior style book, “Wonderplants 2”. Through educational and professional training, many years of development as an artist, and the influential people throughout his life, Hilton Carter has found the perfect balance with his passion for creating fine art through innovative moving images and growing a small side business all at the same time. Michael Fuerstman is the Co-Founder & Creative Director of Pendry Hotels, the new luxury brand from Montage International. In his role, Mr. Fuerstman oversees the development of the brand and its execution in design, guest experience, programming, and new development. Prior to his current role, Mr. Fuerstman was the Corporate Director, Acquisitions and Development, for Montage Hotels & Resorts, responsible for new business development and acquisition opportunities for the company. Mr. Fuerstman joined Montage Hotels & Resorts in 2009 as the Residential Sales Operations Manager at Montage Beverly Hills, where he led a team of sales associates in the strategic planning, marketing, and sales for Montage Residences Beverly Hills. Prior to joining Montage Hotels & Resorts, he was an Assistant Project Manager with The Athens Group, a luxury resort developer, and was the co-founder of www.socialmonkey.com, one of the web’s first location-based, mobile social networking websites. Mr. Fuerstman is a graduate of Tufts University, with a B.A. in Political Science. Piper Goodspeed is Executive Director of Brand Lab; a full-service agency model that lives inside Conde Nast. Brand lab encompasses strategic development, creative and experiential execution and cross-platform storytelling and is built on the premise of working hand in hand with partners to challenge boundaries and lean into the broader future. Believing that we are at a critical moment in time for both companies and consumers, where disruption is the norm: change is good, more change is better and assistance in transition through all that change is essential, Piper has built a reputation for innovation in partnership development. Carrying this belief in the power of peers to help one another (inspire, motive and change) into her personal live, Piper has been a part of a number of boards for organizations near and dear to her heart. Including NY Women in Communication currently and for the past 3 years, and being one of the founding board members for American Legacy: Truth campaign. A double major in German and Psychology from the Donaghey Scholars Program at University of Arkansas, her thesis included in Studies in Perception and Action has been published in 7 languages. **Photo credit: Maarten de Boer through a project with Getty Images of the Future of Images. Creativity and class are the cornerstones of the best Katie Kirby designs. She is an imaginative thinker, an “outta the box” problem solver, an incredibly gifted event designer AND Revolution's Creative Director. Her passion for events is the result of a lifetime of parallel influences. Growing up, her father sold fine wines, and her mother was a talented interior designer who often had young Katie in tow. KK went to school in Washington, DC for musical theater and then headed to New York City for 4 years working in fine dining/events with Kraft and Tom Collecchio. Next up, Katie ventured out to event management with Rafanelli out of Boston and has now been at her current post at Revolution for 7 years. This girl knows events! She operates on a national scale producing events in the most fabulous of locations. She has an affinity for luxury in all aspects of her life and as a result demands only the best for her clients. Ana Kornegay has been driving sales and marketing initiatives in the adult beverage, hospitality, and lifestyle industries for over twenty years. She currently holds the role of Brand Director for the Jack Daniel’s Craft & Luxury Portfolio and is nearing her 13th anniversary with Brown-Forman. She has rich experience in consumer insights, new brand development, global marketing, field marketing, and brand management, resulting in her uniquely holistic approach to brand building and consumer engagement. Ana is known for respectfully challenging the status quo in order to innovate and differentiate, and she specializes in experiential marketing, content and creative development, and trade advocacy. Ana received her Bachelor of Arts in International Studies with a concentration in Anthropology from the University of North Carolina at Chapel Hill and her Masters in Business Administration from Wake Forest University. She holds a seat of the Executive Committee of the Family and Children’s Services of Central Maryland board and is passionate about animal welfare and the arts. You can find Ana’s portfolio at anakornegay.myportfolio.com. Allison Nicolaidis is the Chief Marketing Officer, Global Tools and Storage at Stanley Black & Decker. As a twenty year veteran of the company and the first CMO for Global Tools and Storage, she has built an organization that spans industrial design, strategic brand marketing, digital marketing and customer insights across all core business segments including Consumer and Professional Power Tools, Hand Tools, Industrial and Automotive Tools, Tool Storage, Outdoor Power Equipment and Home Products. With a broad stable of over twenty brands featuring industry leaders like DEWALT, BLACK+DECKER, CRAFTSMAN and STANLEY, Nicolaidis focuses her teams on internal capability building, customer data, market analysis, visual design language, content creation, media optimization and best in class marketing campaigns connected to the commercial strategy investments within the business. In addition, Nicolaidis leads the Women’s Network at Global Tools and Storage. 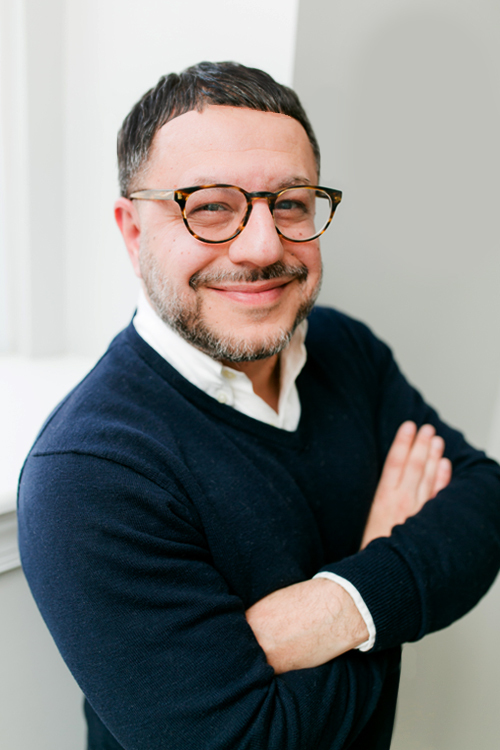 André Vaseghi led award-winning campaigns with agencies from Madison Avenue to DC's Foggy Bottom before choosing Baltimore to launch André Bean — a brand architecture studio focused on the building, positioning, consultation, strategy and design of client brand and identity. André is a published creative director, conference-educator, founder of The Ivy Standard, and proud member of the Art Director's Club of New York - one of only forty-four brand architects to have earned the title since 1920. His client portfolio showcases global campaigns from White Lotus London, Loup Paris, Kopf Amsterdam, NYFW, Ogilvy, Kate Spade, and Handmaid Amsterdam, to radius-rich brands including Cooklyn Kindred NY, Handmaid, The Johns Hopkins Hospital, and Cake by Jason Hisley. The André Bean process, having received highest marks for restaurant and hospitality branding by Joe Bastianich on CNBC, continues to be profiled on platforms including The Wall Street Journal, WP, WGN Chicago, and shared on campuses such as UPENN, Yale, and Princeton University.